Vail has immense wow factor. This icon of western ski town and resort consistently makes all the ski magazines’ top picks as one of the best ski destinations in North America. If you are waiting for your engraved invitation to ski Vail, consider the Epic Pass as your opportunity. Staying in Vail’s original 1962 Tyrolean Village is the way to go – by the way. Vail, the mountain, is mega. That’s what I thought on my first visit two decades ago, when “we” (Vail and I) were both in our twenties, the Village and I share a birth year. Vail feels no smaller or less impressive after each subsequent visit. If anything – it keeps getting bigger and better after 50, with 5,289-acres it takes at least a week to explore the Front and Back sides. 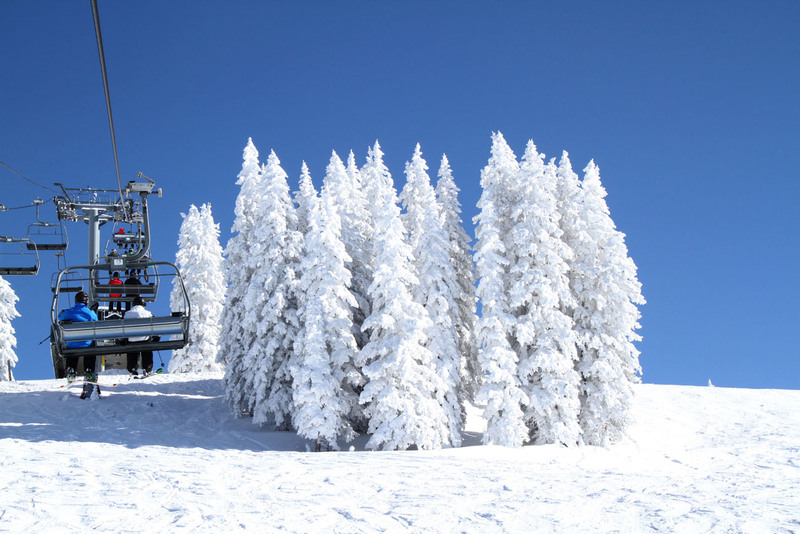 Here are some tips on your Vail Colorado trip. First, fly into Vail/Eagle Airport, and skip the long, often icy 2-hour uphill drive from Denver. Flying into Vail’s local airport (30-minutes away), you won’t need a rental car, snow tires, or an ice-scraper – just a lift to your lodge. Next, pick a premier slopeside resort. The Lodge at Vail is the most prime location right at the base of the lifts in the heart of the Village. 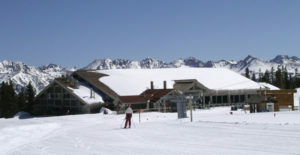 Lodge at Vail was Vail’s first lodging property when the ski area debuted in 1962, and still among the best – serving as the cornerstone of the European design village that has emerged over the past five decades. Today, The Lodge is owned by Vail Resorts, part of the prestigious RockResorts family. Poetically, Vail Village received a 50th facelift, including new skier services and a spiffy new gondola “The One” with WiFi and heated seats. The Lodge at Vail received love too, with room and Avanyu Spa renovations and dining at Elway’s steakhouse, but the chalet style centerpiece lodge and lobby remains, dictating the old world European theme that anchored Vail’s base village from the start. Lodge at Vail’s lobby has a real wood burning fireplace, a beautiful staircase with mahogany woodwork, and leather furnishings you’d expect in an exclusive alpine chalet in Austria or Switzerland. 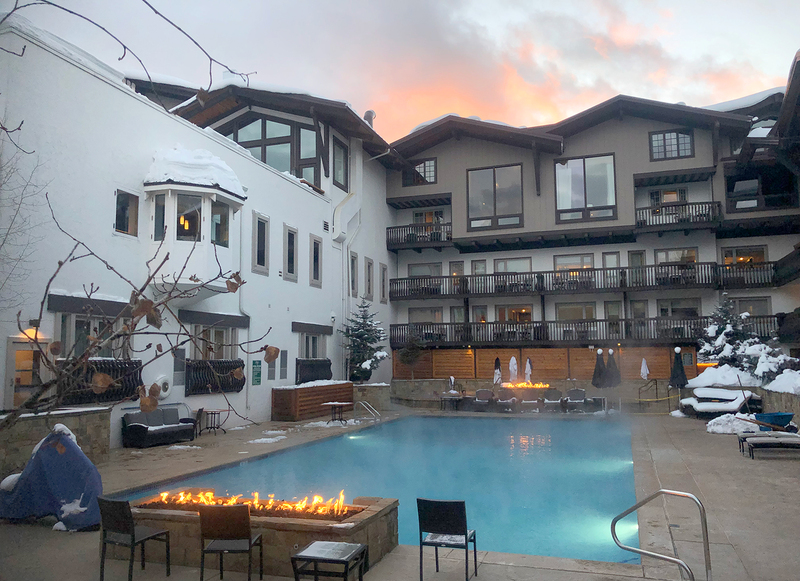 The Lodge at Vail is posh, the service is perfected from prompt valet to a ski check right at the slopes Guestrooms sport fluffy down duvets and lovely amenities. You may want to request a suite with a fireplace and a walk-out balcony that overlooks the ski slopes, the outdoor heated spa, or the charming village. Lodge at Vail’s ultimate 2,800-square foot penthouse is quite lovely too. Within the hotel are two award-winning restaurants, Elway’s named for Denver Bronco John Elway where you will find a great bar and delicious beef, or Cucina Italian. 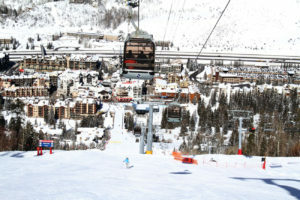 Your also steps from Vail’s plethora of shops – Gorsuch, Pepi’s and The Golden bear are faves, and après ski at Red Lion, The George, and great dining at Sweet Basil, Mountain Standard, and Bol. If you need rental equipment, Vail Sports is right next to the Lodge on your way to the lifts, or if you’d like equipment personally delivered to your suite for a professional fitting, contact SkiButlers.com, and they will set you up with gear to goggles. 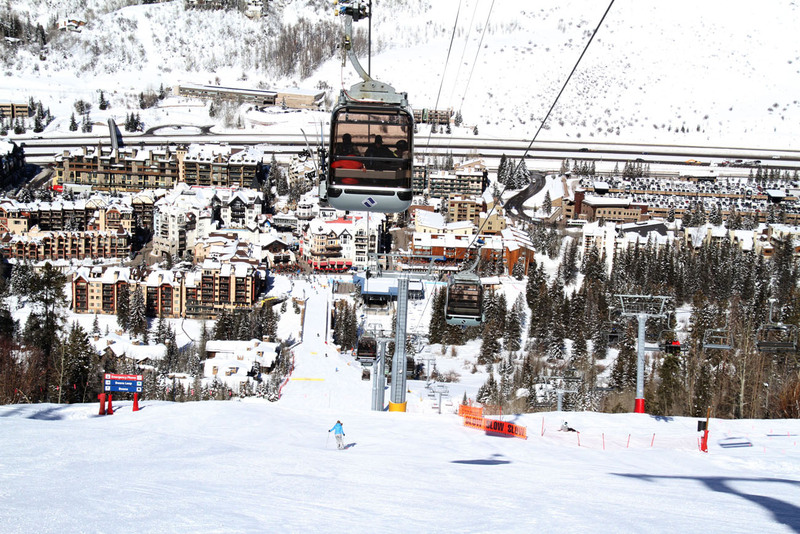 As for skiing, Vail is immense, with 3,450’ vertical serviced by 33 efficient lifts. Vail has seven distinct areas – each of which is larger than most ski resorts, and seven back bowls that stretch six miles across, plus four terrain parks. 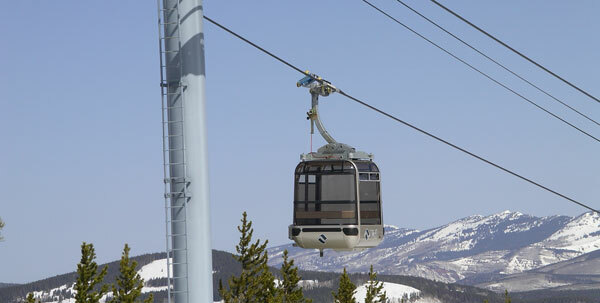 The Vail “One” Lift – a 10 passenger gondola with heated seats and wifi, is located right outside The Lodge at Vail, whisking you each morning to mid-Vail. Jump on the Mountaintop Express for a couple of wake-up runs on Cappuccino and Expresso. For more mellow terrain, head skiers’ right to the new high speed Sourdough chair. Or if you like to mash moguls, make your way to eastern-most Blue Ox. After you’ve explored the Front Side’s dozens of dreamy runs and awesome scenery from Northwoods to Avanti, the sun is high and its time to drop over the backside. Surely you have heard of Vail’s Back Bowls – any skier worth his edges knows these legendary bowls set the bar to which all other terrain is measured. 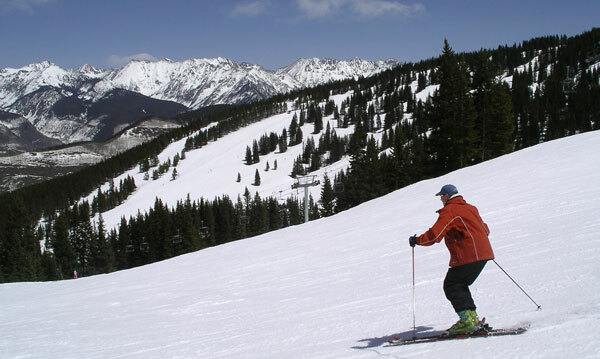 Vail’s backside is a bonanza of wide-open, above tree line “ski anywhere you like” landscape. 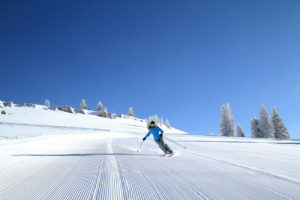 Don’t let your ski knees knock in fear, they groom a few swaths of cord down the center of each of the six bowls – from Sun Down to Sun Up, China to Mongolia (names as far reaching as this remote six mile expanse of ski territory). Blue Sky Basin and Pete’s Bowl, yet another mountain face of adventure skiing, offer more secluded terrain with spectacular Rocky peaks in all directions. Here you escape reality to explore gorgeous groomed glade runs, sprinkled with shimmering aspens, and brilliant blue sky above just like the name promises. Two Elk at 11,570’ (Vail’s peak summit) is a truly grand lunch spot, an alpine architectural marvel above 11,000’ (noteworthy that Vail built it twice, tree-huggers burned the first lodge in a 1998 tirade). A great sit down lunch options is the 10th Mountain Lodge, ski the legendary Riva Ridge – the trail created by Peter Seibert and Earl Eaton – 10th Mountain Division members and founders of Vail, to this beautiful lodge at mid Vail with wonderful table -service food and stunning Rocky Mountain views. Because Vail is so famous, and not far from Denver – it does get busy on weekends. But since it’s so big, and the lift system is so efficient, you can find your own pocket with a little planning ( or use the Epic Mix app that indicates your vertical and live lift wait times). Vail’s lift status signs at each peak also indicate any lines, go where the lights are green and the snow is pristine. Skiing down the Front Side skiers’ left is Lions’ Head Village, a totally separate on-slope village where you will find a posh new Resort and Ritz Carlton Vail. The enclosed comfy 12-passenger Eagle Bahn gondola launches you from Lions Head to more great cruisers like Simba and Born Free and the mid-mountain Eagle’s Nest Lodge, where Adventure Ridge offers outdoor amusement after the sun sets with snowshoeing, ski bikes, a mountain coaster, tubing, snowmobiling, even trampoline bouncing. Back in Vail Village for après ski, Wednesday evenings Vail hosts free outdoor “Street Beat” concerts. For a truly memorable evening on the mountain, reserve dinner with the Concierge at the gorgeous Game Creek Club – a snowcat will take you from the gondola summit to dinner at this elegant, high elevation private club. When Vail opened on December 15, 1962, with one gondola and two chair lifts, $10 scored you a lift ticket, breakfast, dinner and a night at The Lodge at Vail – the only place to stay. 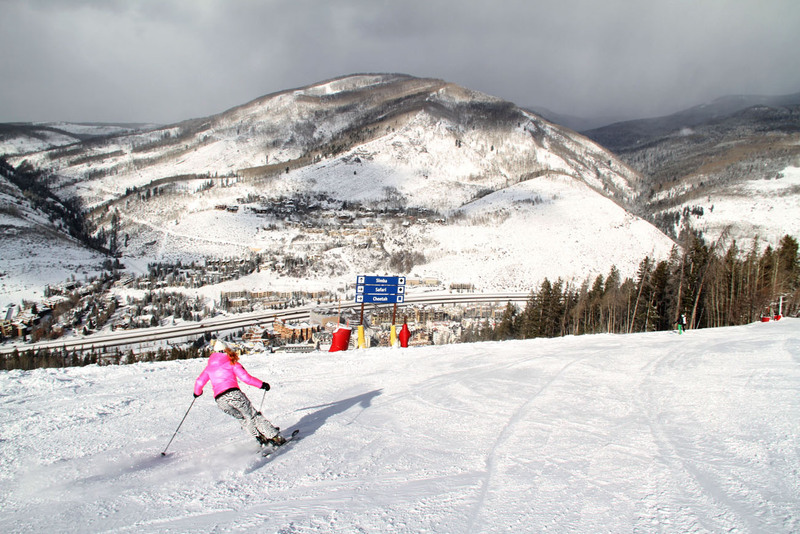 Prices, along with Vail’s lift and trail network, have escalated dramatically (Vail’s one day ticket is $150). The Lodge at Vail still holds the bar high for topnotch hospitality in charming chalet suites, in the heart of the Bavarian Vail Village.Vail has immense wow factor. This icon of western ski town and resort consistently makes all the ski magazines’ top picks as one of the best ski destinations in North America. If you are waiting for your engraved invitation to ski Vail, consider the Epic Pass as your opportunity.